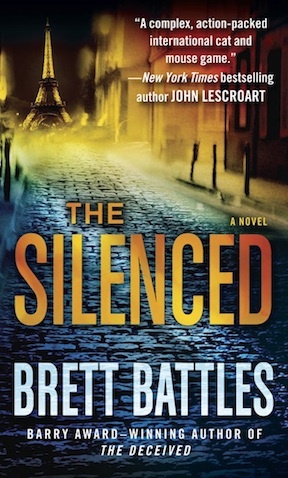 Brett Battles made a splash with his first novel to feature “cleaner” Jonathan Quinn in THE CLEANER in 2007. He followed up with two more to feature the professional spy whose particular expertise was cleaning up the messes left by assassinations and operations gone bad: THE DECEIVED and SHADOW OF BETRAYAL. And Quinn is back in THE SILENCED. Battles notes that the last year had been an interesting one with the publishing industry trying to figure out what to do with e-books and consolidation efforts and activities by his own publisher. His editor left for a different publisher, then his publisher left, then the publishing houses themselves moved around and merged. He’s managed to stay afloat during all this turmoil, and notes that originally this year’s book was supposed to be a standalone, but the new management decided to flip the publication schedule, so THE SILENCED comes out in 2011 and the already written standalone will come out sometime in 2012. In addition, Battles is entering the e-publishing market with an e-book titled LITTLE GIRL GONE in April, followed by another standalone thriller for e-platforms this summer. Battles is quick to point out that LITTLE GIRL GONE is not a Quinn novel. Meanwhile, promotion for THE SILENCED will rev up in late March and go full-bore in April with signings in California and Arizona, as well as a variety of online and radio outlets. Battles travels extensively while researching his books, but otherwise lives in L.A. in what Raymond Chandler dubbed the Miracle Mile. He claims to almost be able to see the LaBrea Tar Pits from his window. 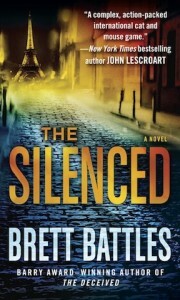 Brett Battles lives in Los Angeles and is the author of acclaimed Jonathan Quinn series: THE CLEANER, nominated for a Barry Award for Best Thriller and a Shamus Award for Best First Novel, THE DECEIVED, winner of the 2009 Barry Award for Best Thriller, SHADOW OF BETRAYAL, and his new Quinn Thriller, THE SILENCED. 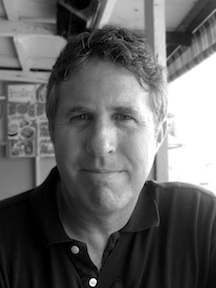 He is one of the founding members of Killer Year, and a member of International Thriller Writers, Mystery Writers of America, and Sisters in Crime. Move info available at his website.